We can confirm that Associated British Foods (ABF) has completed a contract with BP to acquire its 47% stake in Vivergo Fuels Ltd; resulting in ABF being the majority shareholder with 94%. 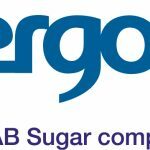 Vivergo was formed in 2007 as a joint venture between ABF and BP, which had equal shares, and DuPont, to develop a world-scale wheat-fed bioethanol plant at Saltend, Hull. It achieved its designed daily production capacity in 2014 and directly employs over 100 people. Operating at full production, the plant takes 1.1m tonnes of locally sourced animal feed grade wheat to produce 420m litres of bioethanol and up to 500,000 tonnes of protein rich animal feed for UK livestock, per year.